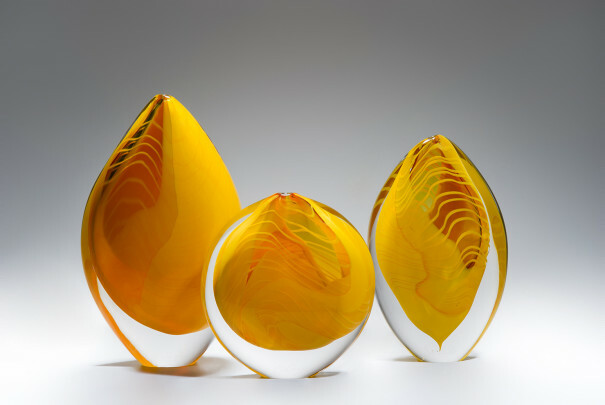 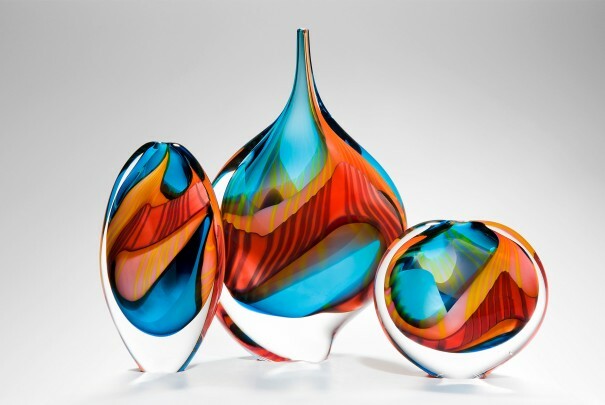 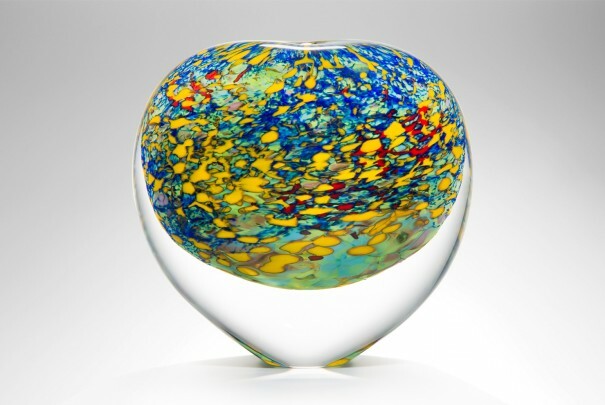 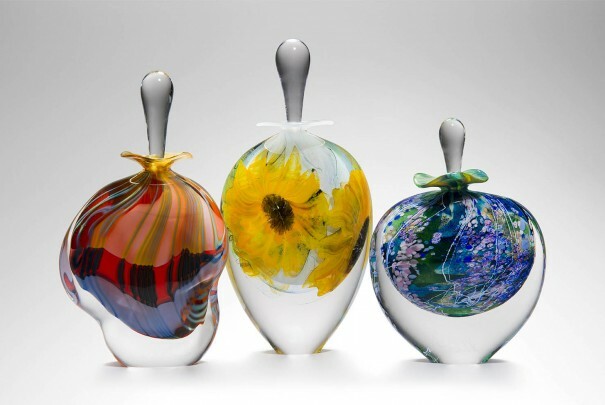 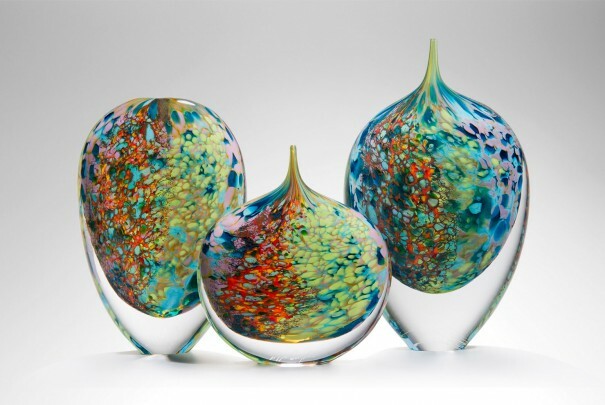 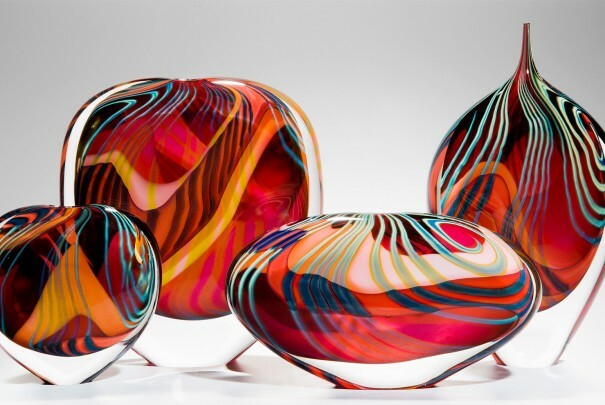 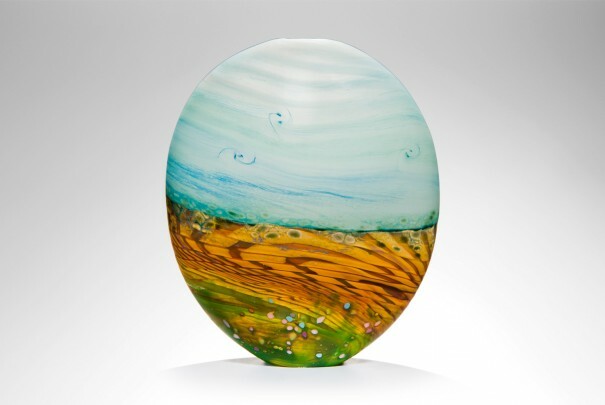 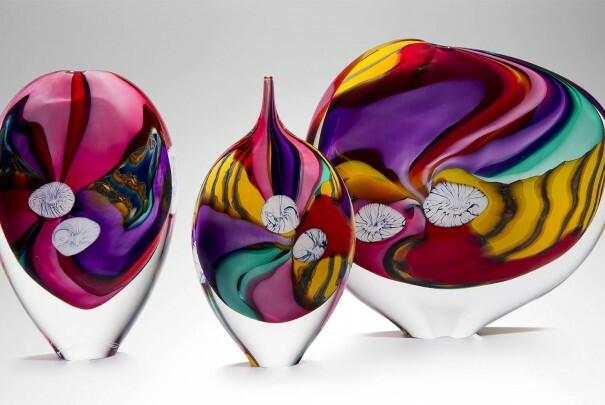 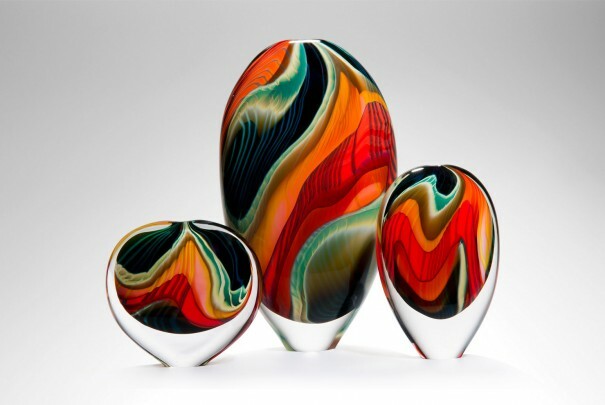 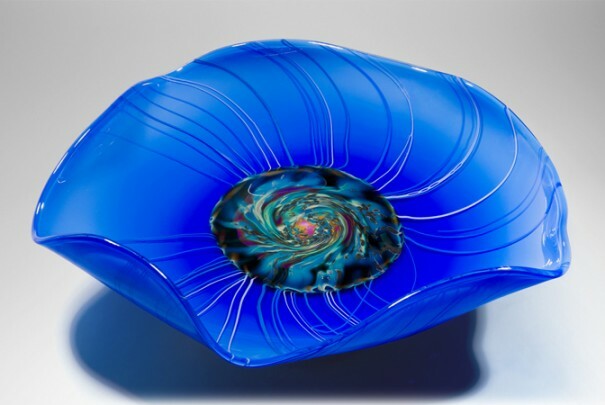 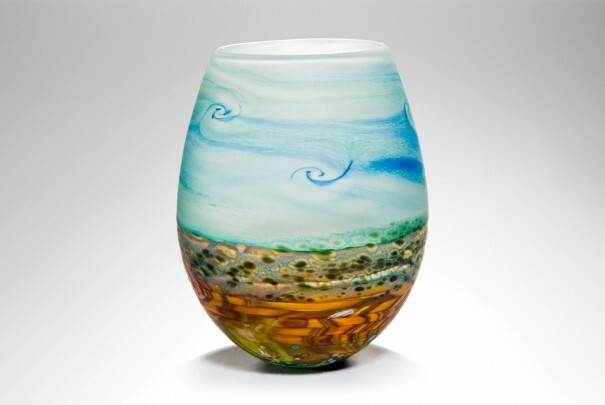 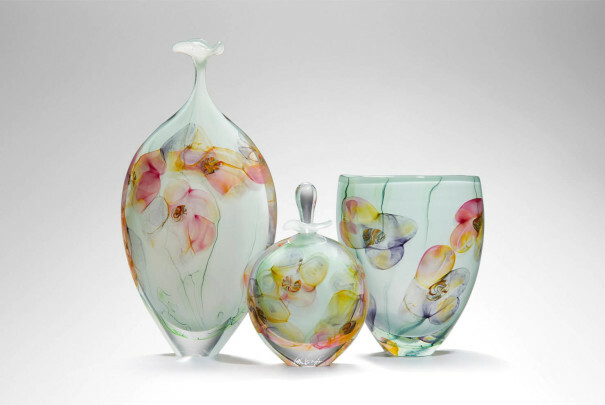 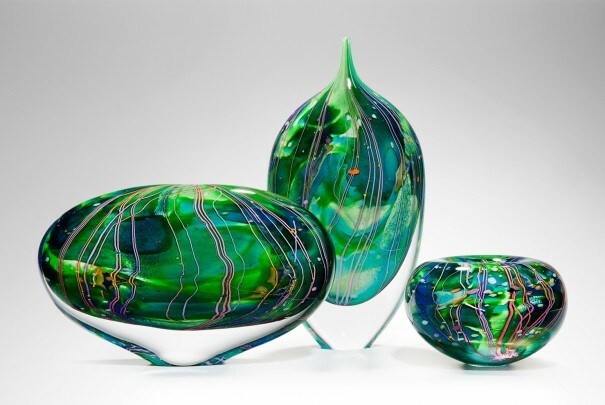 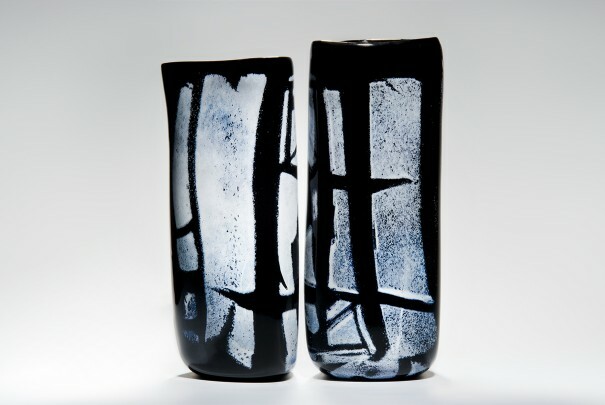 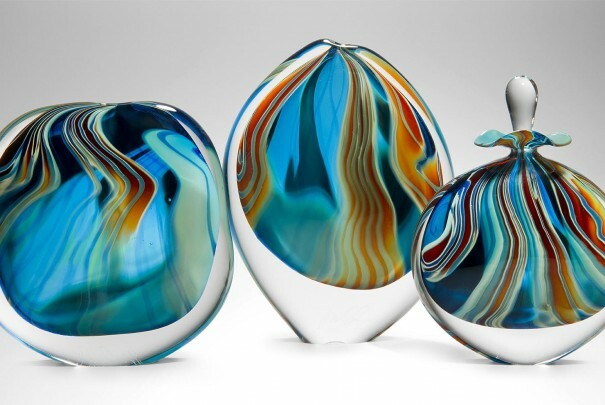 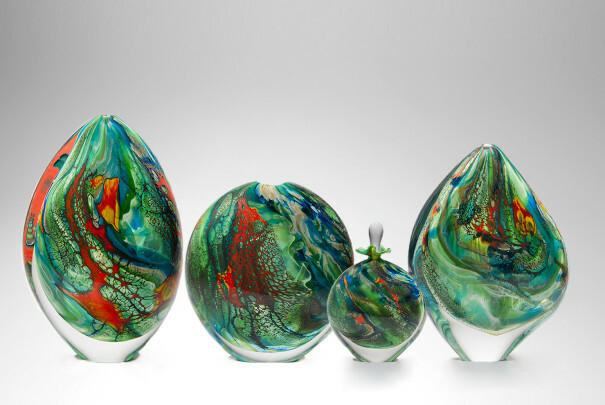 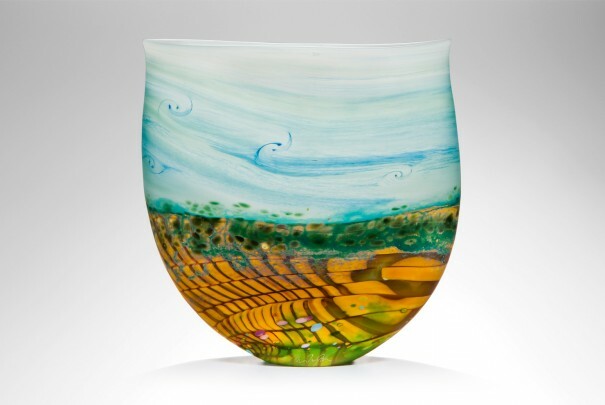 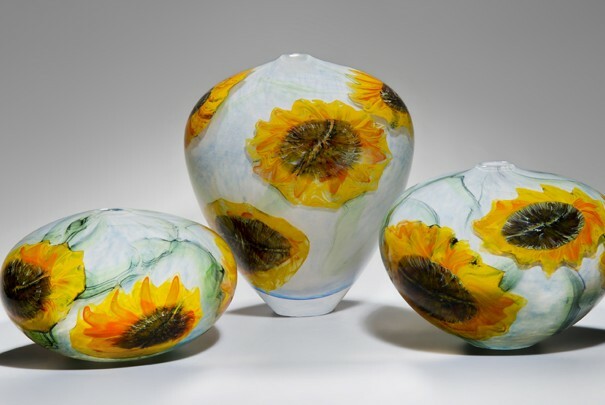 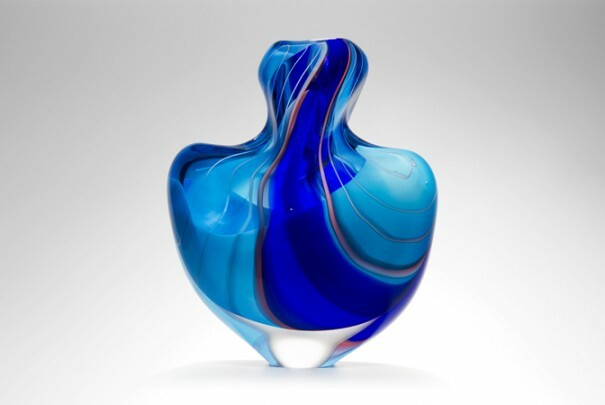 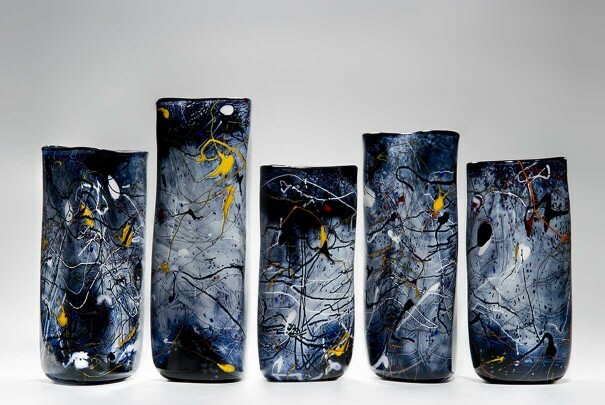 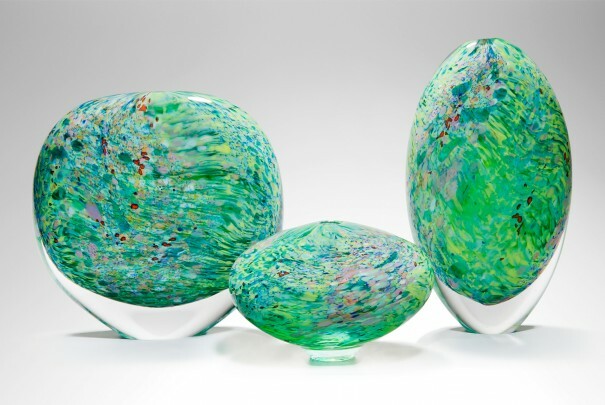 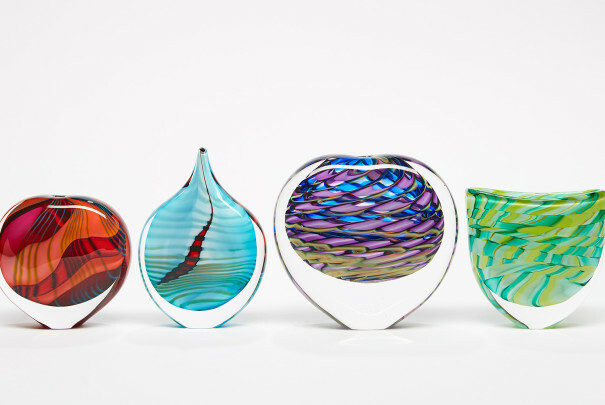 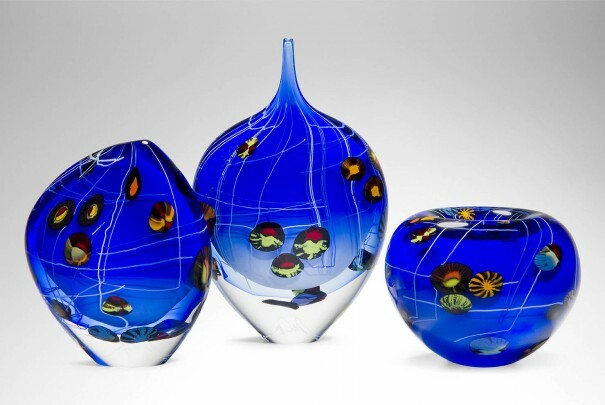 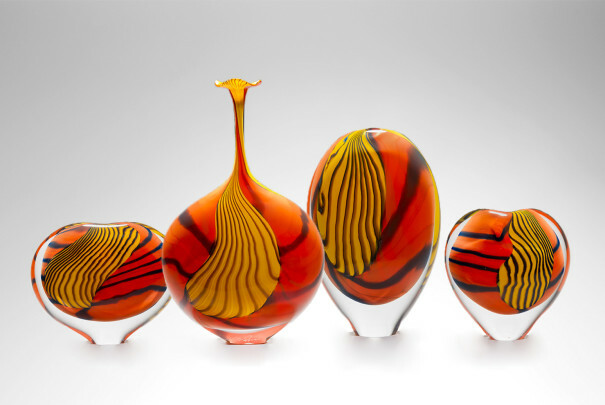 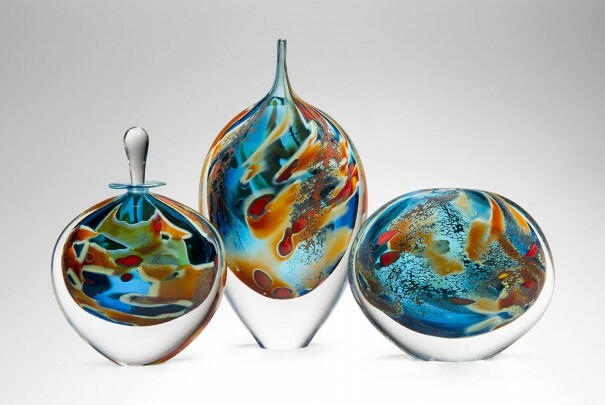 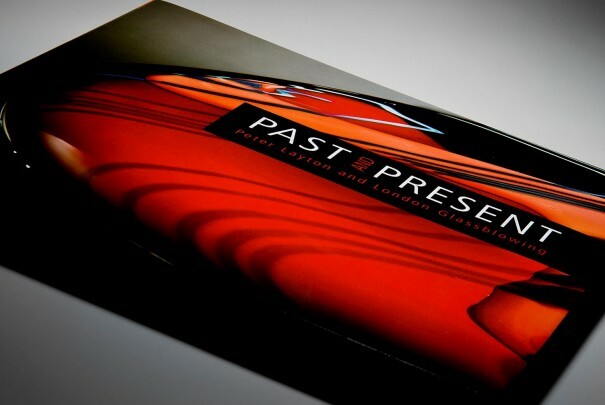 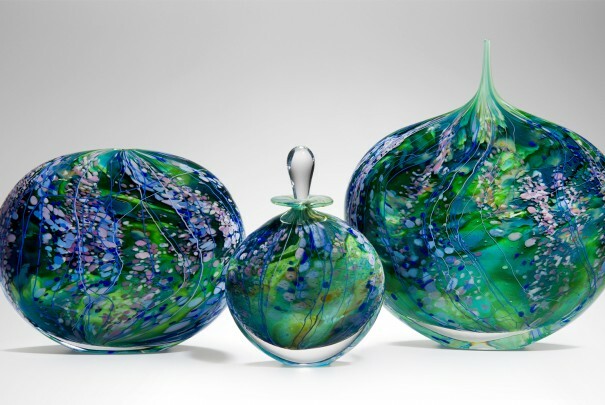 In 2013 the National Gallery invited Peter Layton to select a painting from their collection to interpret in glass. 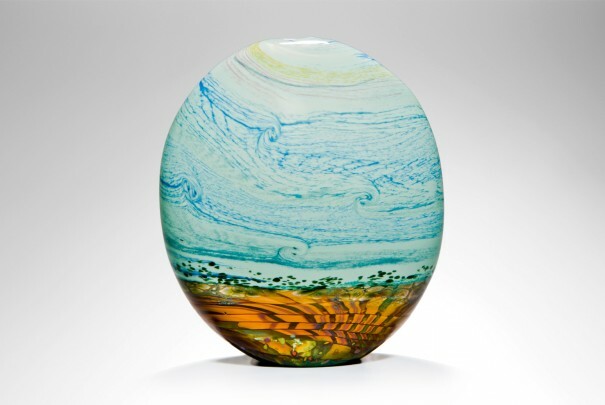 Peter was particularly inspired by the skies in many paintings and eventually chose ‘Wheatfield with Cypresses’ by Vincent Van Gogh. 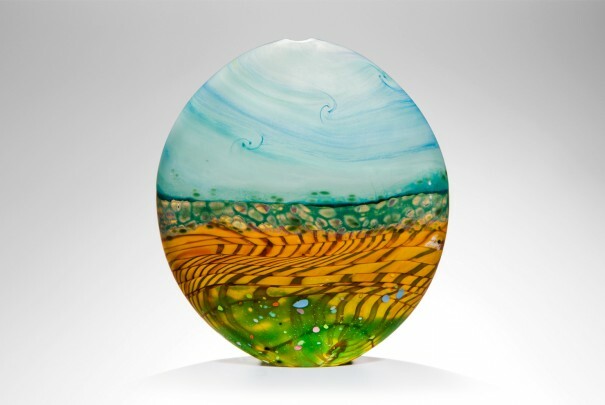 It took months of experimenting with different kinds of dramatic skies and different ways of portraying the wheatfield in the foreground, and eventually Peter and the team combined two separately blown elements to achieve the desired effect. 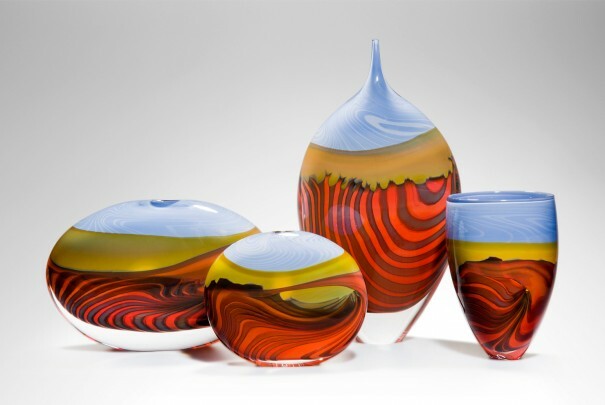 The pieces have been very well received in both our gallery and in the National Gallery shop.